Cosmetic plastic surgery of the face can "turn back time" by reducing the appearance of wrinkles and lines,sun damage and sagging skin that can make you look angry, sad or tired. Women may decide to undergo plastic surgery to enlarge or reduce their breasts, to achieve a balance in size or shape for their breasts, or to reverse the effects of aging or pregnancy. Skin rejuvenation and resurfacing can be achieved in a number of ways, ranging from laser, light and other energy-based treatments. Men can be just as concerned about their looks as women, though now more than ever before, there is an increasing pressure on men to look good. The eyes are the windows to the soul and they communicate our deepest emotions, from joy and excitement to anguish and sorrow. They also convey the fact that we may be aging. Nothing gives your age away more easily than sagging skin, wrinkles and heavy under-eye bags. Fortunately, these imperfections can be easily reduced through the miracle of Blepharoplasty (more commonly known as eyelid surgery or an eyelid lift) which tightens or removes excess sagging skin around the eyes. The result is a smoother, more youthful appearance. The procedure may also be used to create a crease where one is missing, such as with Asian eyelids. In the hands of a talented cosmetic surgeon, Los Angeles patients can expect a complete transformation by getting rid of those puffy droopy eyes that slowly mar a once youthful appearance. Face the world again with renewed vitality and increased natural beauty. You are still the same woman you were when you were younger, but genetics, pregnancy, weight loss and the natural aging process can all result in sagging, deflated breasts. Ptosis of the breasts is caused by weakened breast tissue that has succumbed to gravity. Women with a drooping breast appearance often feel that their bustline is making them look older than they are. A breast lift is a surgical procedure to lift and reshape the breasts. It is an outpatient procedure which means that you will be able to return to your home on the same day the procedure was done. Deciding to have a breast lift procedure can make some women feel anxious, stressed and nervous, but if the cost of procedure is what may be stopping you all together, rests assure that we have affordable breast lifts in Los Angeles. A breast lift with Dr. Takowsky is an effective way to redefine your youthful feminine figure. I’m very excited about my results with Breast Augmentation and Rhinoplasty. Dr. Takowsky is an excellent plastic surgeon and I recommend him to everyone I know wanting cosmetic surgery. I hope he never retires! 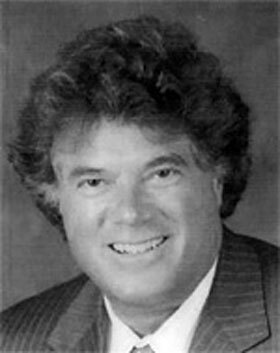 Gary S. Takowsky, M.D. is a plastic and reconstructive surgeon who has been in private practice in Beverly Hills since 1984. He completed his General Plastic Surgery Residency at William Beaumont Hospital in Royal Oak, MI in 1984. He is also certified in ENT-Head and Neck Surgery, which he completed at White Memorial Medical Center in Los Angeles, California in 1982.